Well, granted, that’s a rather small value of Art, but it does show that the plotter can draw 10 k points using serial port hardware handshaking. 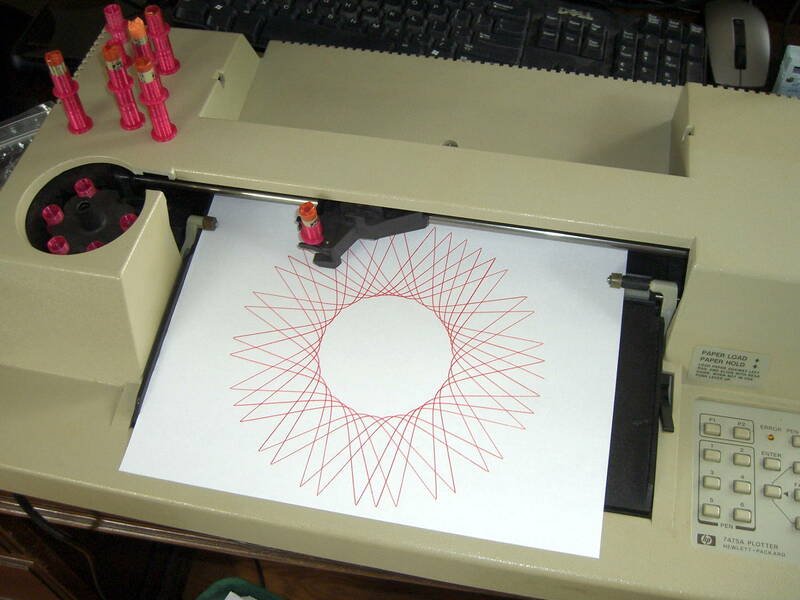 The plotter uses absolute plotter units that range from (0,0) to (10365,7962). Telling the plotter to put its origin in the middle of the page makes perfect sense, because that automagically centers the figure. Dialing the speed back to 5 cm/s works much better with the Sakura pens than the default 38.1 cm/s = 15.0 inch/s; hand-drawing pens just don’t have the flow rate for prolonged vigorous scribbling. HP was obviously on the edge of converting to metric engineering units in the early 1980s, with the HP 7475A designed before the transition and shipped afterward. The function spits out a list of Cartesian XY coordinates, not the polar rΦ coordinates you might expect. 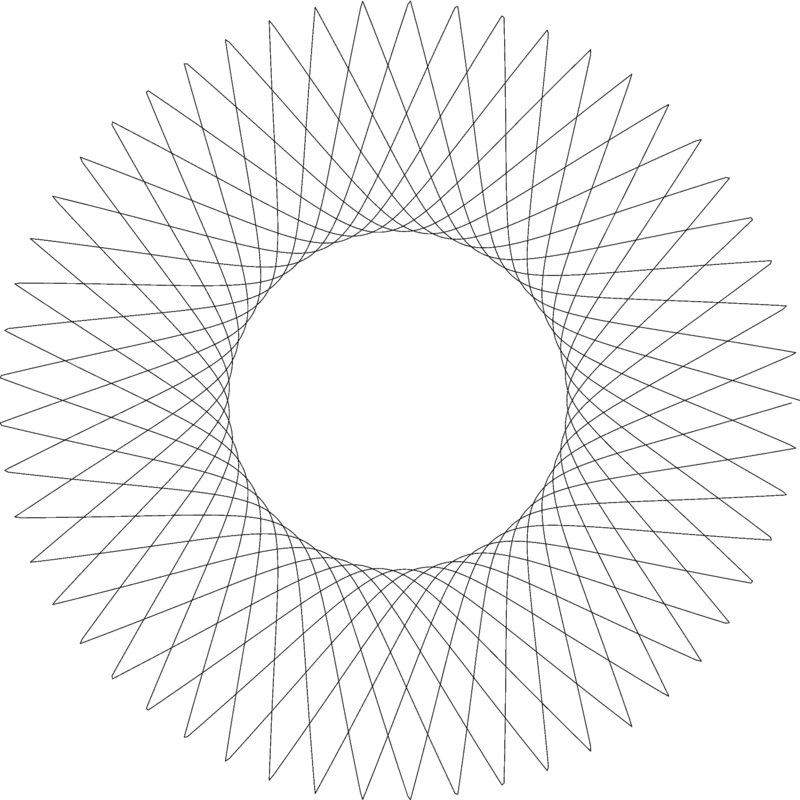 Slightly non-integer values, particularly for m, produce more interesting patterns. Other than that, there’s just no telling. Use io.view(ss) to get an idea of what you got, it’s much faster than plotting! You may find the online superformula explorers better suited to rapid prototyping, though. There’s a list at the bottom of the Wikipedia article, although some links seem defunct.